It’s become one of the most pondered questions among nonprofit leaders: How do we measure and explain the impact of our work? With long-term missions aimed at transforming communities or ending major health and social problems, it is vital to identify evidence of progress and milestones reached. Recognizing such achievements keeps good work moving forward and attracts more funding for the cause. But nonprofits operate on more than financial donations and grants. They also have “time donors” who contribute their expertise generously as volunteers on their boards of directors, in service delivery roles, and in fundraising activities. Despite the reliance on such “skillanthropists,” successful engagement of volunteers is often low on the list of priorities of organization executives. Why? Because volunteers are seen as nice when they should be valued as essential. So the challenge is how to demonstrate the difference successful volunteer involvement makes to the organization’s mission. It is disheartening to see how many organizations do not even require regular reporting on the work of volunteers (what is not measured is not valued). But even when reports are gathered, the number one question posed to leaders of volunteer involvement is perhaps the least useful: How many volunteers do we have, how many hours did they give us this year, and is this more than last year? A tally of hours served without analysis of what was accomplished and how well it was done is hardly worth compiling. Bigger is not always better. Having “more” volunteers this year than last year does not self-evidently mean quality service delivery or greater impact. Some organizations would actually be better off cutting their volunteer corps in half and holding those remaining to higher standards! The number of volunteers needed is a strategy determined by expectations of productivity. So, if you wish to provide 15 percent more client services next year, somehow you need to add 15 percent more effort. This might be provided by asking each current volunteer to give an extra two hours a month or by recruiting additional, new volunteers. Recognize, too, that the body count of how many people are in your volunteer corps does not translate into a standard number of hours contributed. Fifty volunteers each giving two hours a month provide the same output as five volunteers who can give twenty hours. The amount of effort necessary to recruit and support the larger number of volunteers is clearly much more intense, without the payback of more service. On the other hand, if your programmatic goal is community education, you may feel that getting fifty people to participate is more beneficial than just five. See? It depends. How many volunteers and how many hours are inputs to activities performed. The key is to measure outcomes, not simply activity. It all begins with determining goals and objectives for exactly what you expect volunteer involvement to accomplish in any period. What’s critical is for volunteer work to be in alignment with the strategic planning for all organizational programs, projects, and services. Once you have determined what needs to be done, it should be possible to ask whether those goals were met. Does it feel strange to set standards of achievement for volunteers? Shouldn’t we simply be grateful for whatever they do for us? Banish these attitudes! 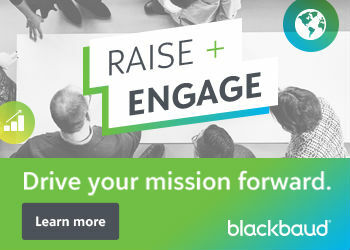 Not only is it important to insure that everyone in your organization is focusing on the same goals to achieve your mission, but it is highly motivating to volunteers to see that their service is making a real difference. What are we doing now that could be expanded with more help? What unmet needs do our clients have that we presently can do nothing about? What unmet needs does the staff have (to support them in their work)? What might we do differently if we had more skills or time available to us? As you identify what would really help the organization to move forward, you will define roles and activities for which you can then recruit the most qualified volunteers prepared to accomplish them. Have our clients expressed any awareness of, appreciation for, or comments about volunteers here? What were we able to do more of this year than last because of the extra help from volunteers? What did volunteers free staff to do? What were we able to innovate or experiment with this year because volunteers offered or agreed to test something new? Did the involvement of volunteers allow us to offer enlarged or improved services to our clients? Has our public relations or image changed, and can we trace any of this change to volunteers? Is our volunteer corps representative of the community we serve and do we allow them to be ambassadors for us to their circle of friends and colleagues? Have members of the paid staff visibly developed their supervisory skills as a result of working with volunteers? Are volunteers themselves satisfied with their work? What percentage of volunteers are also financial donors to our organization? As with absolutely every other aspect of organizational life, the amount of time you spend determining what you want volunteer involvement to be will directly affect the quality and creativity of what you get. Ignore this aspect of your organization, and maybe you’ll get lucky. But if you incorporate planning for volunteers into overall agency planning, you will naturally take the steps necessary to assure that you reach those goals. And it will be satisfying to everyone to be able to see and report the impact of volunteer effort. Susan J. Ellis is president of Energize, Inc., an international training and publishing firm specializing in volunteerism. Visit their comprehensive Web site at www.energizeinc.com. 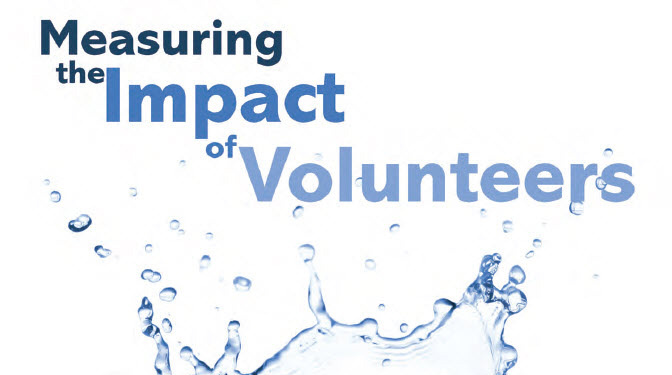 She has been immersed for many months editing the new book, 'Measuring the Impact of Volunteers: A Balanced and Strategic Approach,' by Christine Burych, Alison Caird, Joanne Fine Schwebel, Michael Fliess, and Heather Hardie (© 2016, Energize, Inc.).